Do not use this company, awful experience! I had my bathroom remodeled, start date was mid-July. Craig Deimler told us it would be done beginning of September, around Labor Day. Well, mistake after mistake, miscommunication after miscommunication it wasn’t done until this past Wednesday before Thanksgiving, Nov 23. I had to file a complaint with the PA Attorney General because there were constant mistakes and miscommunications. And he never apologized for any of it. I realize that things come up and if it would have been done done a little after Labor Day that would have been fine, but there was about a period of a month that nobody showed up to our house to do work and he left a Port a John toilet in front of our house. I had to contact him several times before he had it removed. Some of the workers and subcontractors even said over the summer that things were not communicated to them from Craig and his company. I had to constantly contact him to see when things would be addressed and often he would take days to get back to me and then lie about when it would get done. 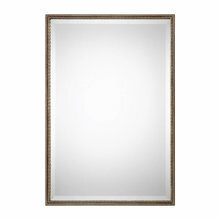 He also ordered us the wrong vanity at first and forgot to order mirrors until October. I have pictures showing sloppy work, a copy of complaint with PA Attorney General and many emails and texts to prove all of the miscommunications. I would not recommend this company to anyone. Deimler Family Construction takes the experience of clients very seriously. We apologize that your experience was not what you expected. We appreciate your feedback. We have and are actively taking steps to address the items you have mentioned. 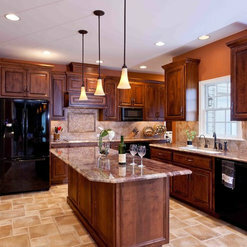 Craig Deimler and all of the professionals working for the company did an outstanding job with remodeling our kitchen. The workers were polite and tried to minimize the disruption in our household as best they could. They had a specific timeline and stuck to it, finishing the work in the time they said it would. 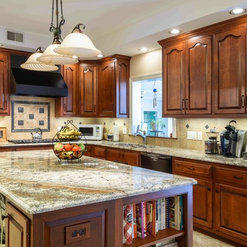 Everything, including placement of the tile and backsplash, construction of cabinetry, painting, and installation of new appliances was all done to our utmost satisfaction. I would highly recommend their business. I quite simply cannot say this emphatically enough. 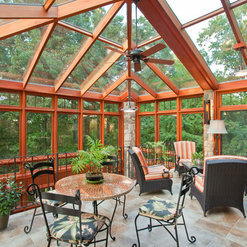 The work done from concept to delivery by Deimler Family construction exceeded expectations. We have had some simple projects to extensive complicated projects. In every job done the work was performed by dedicated, professional and courteous individuals. If I could give them 10 stars I would. Over the last several years as we have completed these projects I have commented multiple times how at a design level it was like they were literally in my head bringing my vision to reality and honestly surpassing anything I could even think of. If you want the best you choose Deimler Family construction. It is just that simple. Thanks for the kind words Dennis. We have loved working with you over the years and look forward to helping you make your future dreams a reality. Bill and his team are always very professional and a pleasure to work with. We have worked on multiple projects together over the past decade and look forward to collaborating with them in the future. We highly recommend their services if you're in their area! 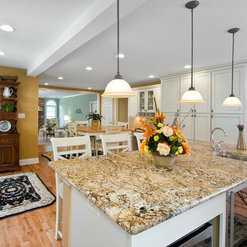 Deimler did a complete master suite renovation, along with support on a massive kitchen overhaul. They were fantastic, start to finish. Besides wanting (and getting) everything PERFECT, my biggest concern was the guys coming in and out of the house. We have two very "enthusiastic" Jack Russell's who are also escape artists. The guys brought treats every day for the dogs and ensured that they stayed in the house, adding to my piece of mind. It's the little things like watching out for the dogs that are intangibles that put Deimler's over the top. People are still "wow'd" when they see our master suite! We will happily use them again in the future for other projects. 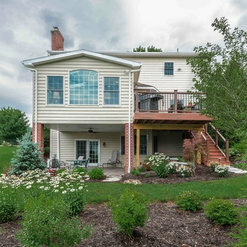 We cannot say enough good things about Deimler and Sons Construction. From the very beginning, when we were shopping around for contractors, Gary was not pushy, he came to visit and listen to what we wanted to do, and then he left the rest up to us. We took our time and when we came back to him they were more than ready. That meant a lot. The design part was also very flexible and patient with us, as we wanted to control our price from getting out of control, but we had a lot of ideas, mostly from Houzz! They worked with us for a while, and continued to edit as we made new decisions. Once it was time for material choices, again they were patient with us and let us choose what we found was going to work best. 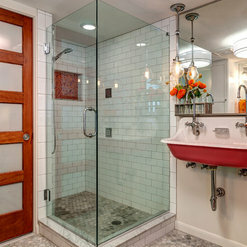 In the end, our project is one of their featured bath remodels on this site and we couldn't be prouder. The construction part was also like a full customer service experience, Donny the manager was always sensitive to the noise, the mess, or even how his schedule would impact ours. We even did our own painting and he worked around us. All the workers were so professional and did an excellent job. Very strongly recommend this company for your next project. 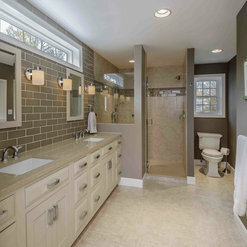 Deimler & Sons did a full gut and redesign of our master bath. Craig and his team did a great job of taking our vision and making it a reality. Craig was particularly helpful when it came to suggesting adjustments to accommodate our budget without compromising aesthetics. The team did well with sticking to the schedule and keeping us informed if there was an unavoidable delay. The trades were friendly, neat and respectful of our time and home. There were a few minor issues with the final product, but they made it right. Deimler was not the cheapest, but they delivered a quality product at a fair price. They will be our first call when we are ready for our next renovation project. 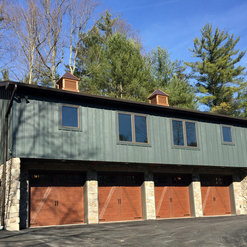 Deimler and Sons has done a number of addition and renovation projects for us over the years. We have always been extremely pleased with their work on many levels: ease of design and planning, attention to detail and time plan, professionalism and likability of staff, and the finished product. They do quality work, and care about their customers. 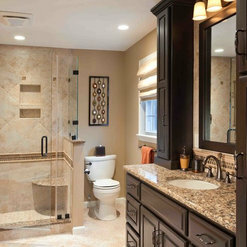 I have had Deimler and Sons do three major remodeling projects in the past 15 years. They were extremely dependable. Everyone was respectful and clean. 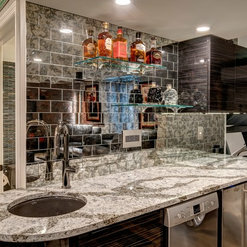 The design abilities of Craig Deimler are over the top, and he is what makes this company worth more money than the average remodeling company. The years of my projects were 2000, 2009, and 2012. We had this firm complete a 1200 sq ft addition effectively doubling our living space I was concerned about being heard and respected as a single woman bringing my ideas and drawings into this. I have heard so many horror stories from other people about their experiences with other builders. I need not have worried--everyone we dealt with was amazing/receptive--took our ideas and dreams and used their expertise to expand and perfect them. One of the best things was having the budget and payment plan finalized before anything started so there were no worries about what costs would be. Also I appreciated everyone being so careful about the area in which they were working around my plants/pets/treasures aka junk. This included the subcontractors-especially the excavator who was amazing in digging the foundation without disturbing my garden pond which is about 3 feet away. They educated us on the 'psychology' of remodeling ie emotional ups and downs to be expected(breaking ground-exciting; drywalling dust and chaos-depressing)--this helped us get through those crazy months realizing it was all part of the process. Also considering our personalities when assigning a foreman for our job was awesome--he was key to achieving what we had in our minds. I am very pleased with the quality and soundness of the construction. My only frustrations were having only our foreman working on site most of the time(instead of the team I had expected) and having him be assigned his next job several weeks prior to ours being finished(necessitating him going back and forth between the two). 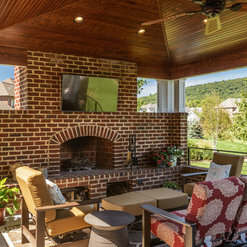 Overall I would consider no other company when choosing a builder for future projects--the people we worked with and the product we received exceeded our expectations. Commented: more info on cabinets please?Thank you for your interest in this project. The cabinets on this project are custom. 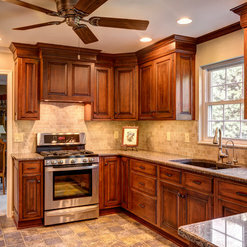 Depending on the project we utilize custom or non-custom cabinetry. Commented: what's the paint color?This paint color was actually selected directly by the client, so we do not have record of the name. My apologies!